Poster Seamless tropical floral pattern. Pink lilies and exotic calathea leaves on black background, inverted effect. Hand painted watercolor art. Fabric texture. Framed Poster Vector illustration of flowers pink lily. 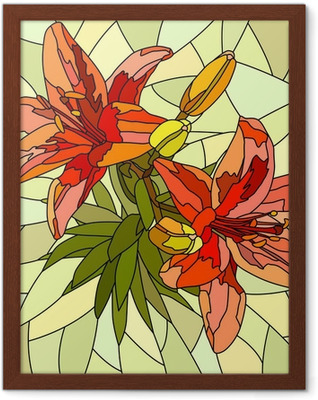 Framed Poster Vector illustration of flower red lilies.